Connecticut is a wonderful destination for a getaway. This is especially true if you love the scenic landscape of sand and sea! Our state is home to many waterfront towns, including the charming Niantic, which offers abundant outdoor recreation and incredible dining. You can spend hours walking along the beach, take a fun cruise, go fishing, and eat incredible seafood! No matter what the weather is like, you’ll find plenty of activities to choose from in this picturesque coastal town. 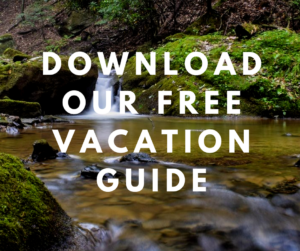 Read on to discover our favorite things to do in Niantic, CT, and download our free Vacation Guide for even more suggestions. It’ll come handy when deciding where to dine, what to see, and which outdoor adventures to take! Niantic is a lovely town right on the seashore, making it the ideal spot to enjoy swimming, sunbathing, and, of course, romantic walks on the beach! Visit McCook Point Beach and spend time in the soft, white sand with the sound of crashing waves as a backdrop. This beach also has an adjoining park that’s perfect for picnics, so make sure you bring a blanket and your favorite lawn games! The Niantic boardwalk is only a few minutes away and is perfect for an ice cream stroll. East of McCook Point Park, Hole-in-the-Wall Beach is another fantastic spot. It has plenty of space to spread out your towels and umbrellas! One of the best things to do in Niantic is to get out on the ocean! The water surrounding this town is full of marine life, which makes fishing one of the area’s most popular activities. Black Hawk Charters offers a variety of fishing trips led by experienced captains, who guarantee you will return with the biggest catch of your life. They also offer seal watches and sunset cruises! Tartan II Fishing Charters is another great option and provides bait, rods, and tackle, so all you need to do is cast your line and wait for a bite. No getaway is complete without an amazing meal. Treat yourself to the freshest seafood available at one of these Niantic restaurants. Check out Skipper’s Seafood for delicious sea fare and a variety of other dishes! This eatery has something to satisfy everyone, including sandwiches, homemade soups, salads,bread rolls, and a myriad of shakes. Those with a more exotic palate should head to the Black Sheep. This Irish pub specializes in fine Irish cuisine in a stylish, cozy environment. Picture yourself with a plate of fish and chips and a cold pint in front of you! Black Sheep also hosts live music nights, so don’t hesitate to check their entertainment calendar. Cafe Sol is another restaurant that’s loved by locals and tourists alike. The menu features seasonal, organic ingredients for a healthy eating experience. If you visit on the weekend, make sure you try the mouthwatering brunch options and save some room for their sweet baked goods! 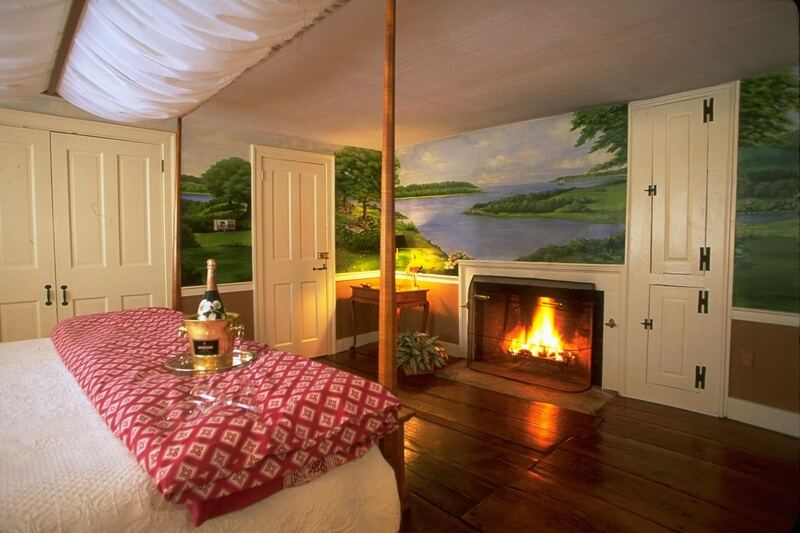 Complete your New England getaway by staying in the finest B&B near Niantic! Stonecroft Country Inn is a cozy bed and breakfast in Mystic, CT, that offers beautiful accommodations, each fully equipped with the amenities you need for a weekend of rest and relaxation! You can explore the attractions in our surrounding area, or simply unwind on our peaceful property. 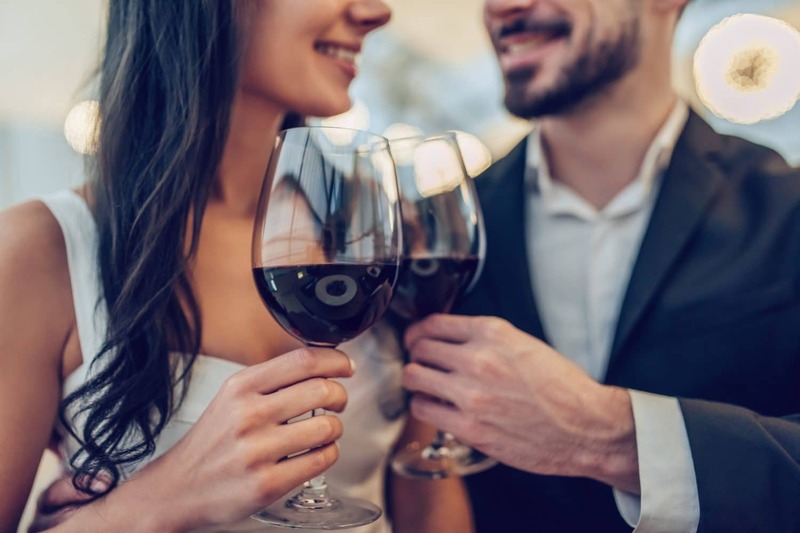 Are you thinking about taking your significant other on a spontaneous romantic getaway? 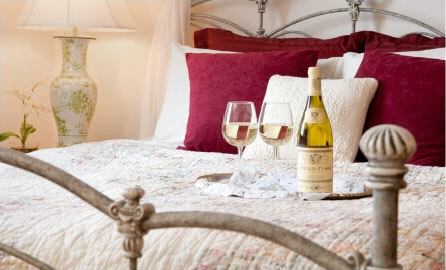 Our Stonecroft Room is perfect for two. You’ll have all the privacy you need in this second-floor suite. 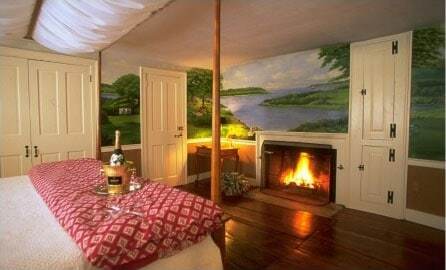 Light up the fireplace, pour yourselves a glass of wine, and get a good night’s sleep in the luxurious king bed. When you wake up the next morning, follow the smell of freshly brewed coffee downstairs and you will find a delicious homemade breakfast waiting for you! 5 of the Best Seafood Restaurants in Mystic, CT — What Can You See on the Mystic Seaport Lantern Light Tour?